This elegant and sumptuous 5* hotel has a privileged location in the modern El Vedado district, facing the Havana Malecón and near the Historic Center of the Havana. 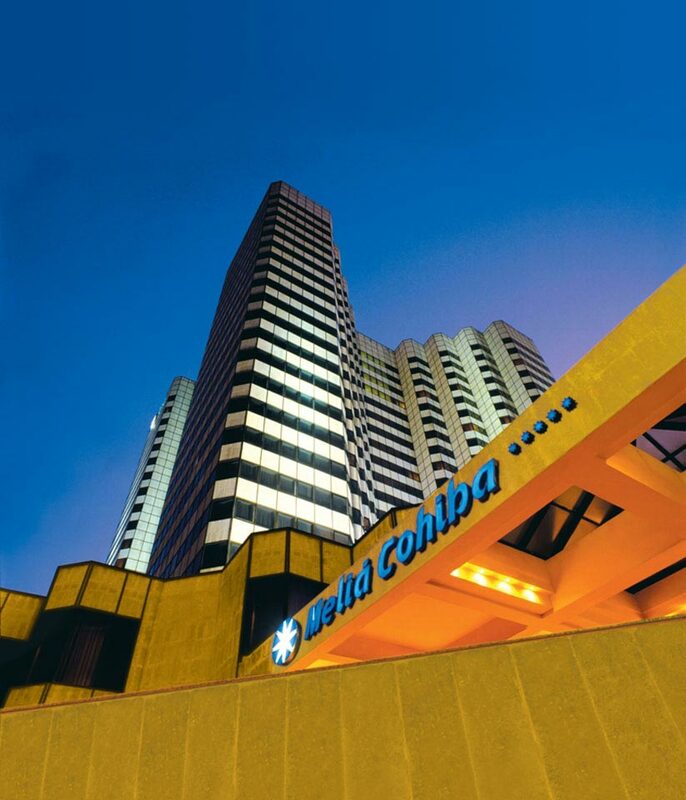 The luxurious comfort of its The Level area and the lively nightlife mark the difference. Meliá Cohiba offers 462 guest rooms, of which 102 The Level Standard rooms, Junior Suites, Suites and Master Suites. 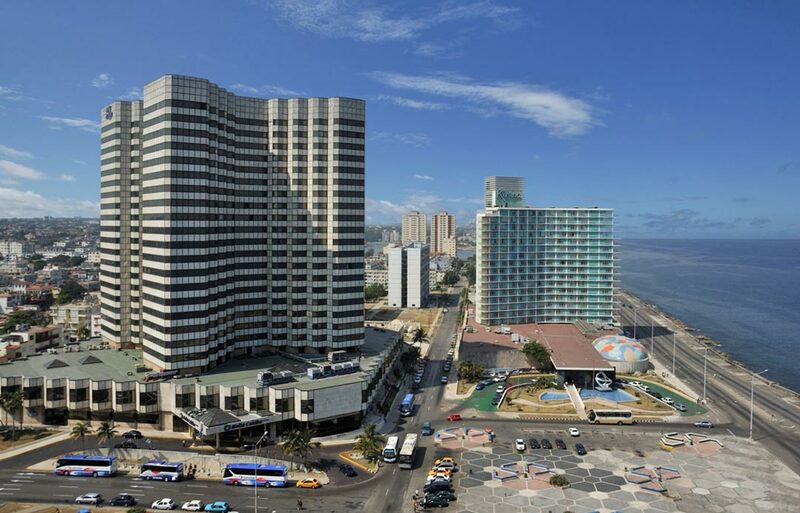 With stunning panoramic views of the city and the sea, the modern, luxurious rooms at the Meliá Cohíba, are divided into four different types. Noted for their excellent layout and hydromassage bathtubs, all the rooms are smoke-free. Rates per room/suite per night, based on double occupancy, daily buffet breakfast, all government taxes and service charge included. Single rates and triple rates upon request. Med : Exclusive newly refurbished restaurant premiers its new image with a moth-watering menu that combines its regular Mediterranean-style cuisine with seasonal specialties and delicious tapas. 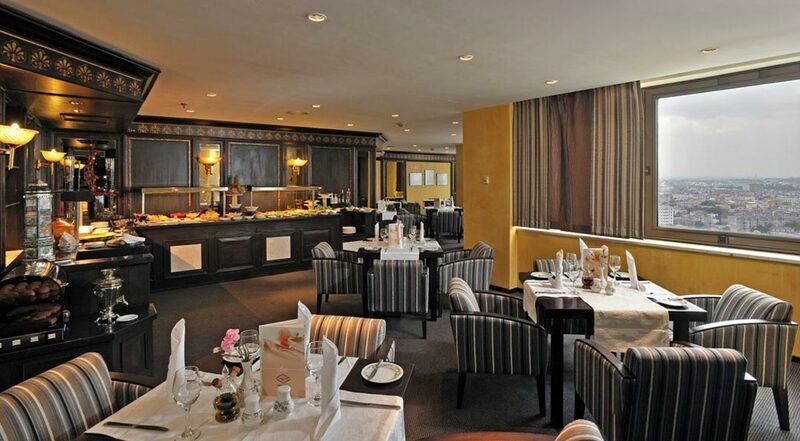 The facility serves a variety of meats, fish and seafood which may be accompanied by exquisite wines. La Piazza : Traditional recipes from the popular Italian cuisine. Pastas and delicious sauces served in a surprising decoration of the no less legendary Cuban baseball, a passion that everyone shares throughout the whole island. Plaza Habana : The decoration, service, music and ambience of this restaurant have reached the category of works of art. To this we must add its simple elegance, wide gastronomic offers and thematic corners, which are its distinctive seal. 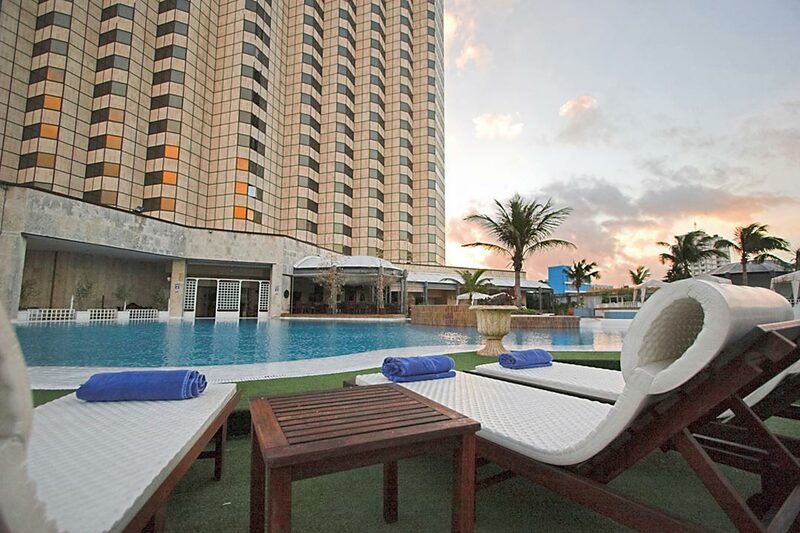 La Brasa : A delight under the sky just by the pool, surrounded by the city ambiance and the centennial Malecón. "La Brasa" restaurant, by day or at night, the pleasure of the good cuisine and the distinctive touch of a service that is already a tradition. Habana Café : Havana of the forties and the fifties, from the musical stars who made history to the old vintage cars that marked this era! Even an old airplane property of Cubana Airlines can be found in the fabulous Habana Café. And in the midst of this evocative ambience, clients can enjoy a superb dinner, sip exotic tropical cocktails and listen to the best live Cuban music in the city, where dancing goes on until the wee hours of the morning. An ideal option for private parties and dinners for groups. Grill Aqua’s : Alongside the hotel swimming pool, a perfect grill with class. An excellent alternative for both lunch and dinner, with wonderful dishes and full of flavour.